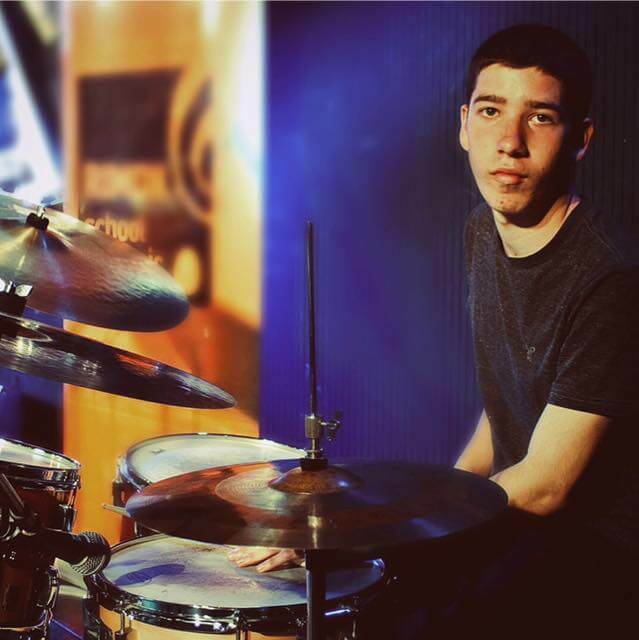 Eviatar Slivnik is an Israeli born drummer currently studying at Berklee College of Music in Boston, MA. At 8 years old Eviatar was accepted to study at the highly esteemed Arison School of Arts in Tel Aviv, an honor at such a young age. Continuing his education at the Thelma Yellin High School of Arts, Eviatar was given the opportunity to perform with the jazz group ‘Sharp 5’ at the Savannah Jazz Festival in Septmber of 2011, alongside greats such as Wycliffe Gordon & Pat Martino. During this time he was also awarded not only the outstanding Musician Award from the Israeli Ministry of Culture and Sports but also the Jazz Category America-Israel Foundation Scholarship, both huge honors in the Israeli music scene. Graduating Thelma Yellin High School of Arts in 2013 with a certificate in excellence from the Jazz Department, the opportunity arose for Eviatar to further his studies at the Rimon Jazz Institute on a program linked to Berklee College of Music, which required two years of study at Rimon in Israel & two years in Boston, Massachusetts, to where he is now situated. 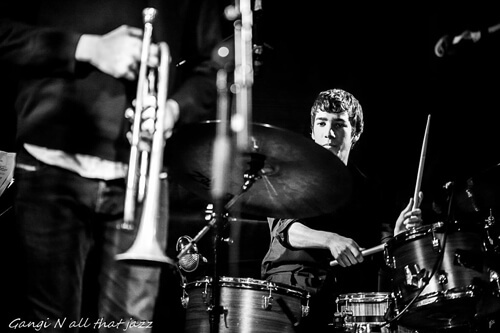 During his first two years of study in Israeli, Eviatar was given the opportunity to perform with some of the worlds leading jazz musicians including: Avishai Cohen, Mark Whitfield, Tamir Grinberg and perhaps most notably, Eli Degibri. Eviatar has become a core member of Eli’s band touring all over Europe & performing at world-class venues such as Duc De Lombards (Paris), Cube 251 (Luxemburg), Nancy Jazz (Nancy) & Dizzy’s Coca-Cola Club, part of the Lincoln Center in New York City. With various other artists he has also performed in Spain, Germany as well as some of the worlds leading jazz festivals such as the Tel Aviv Jazz Festival, Jerusalem Jazz Festival & the Red Sea Jazz Festival. Amongst his busy performance schedule, in February 2015 Eviatar also was given the opportunity after winning the award for Best Jazz Performer at Rimon Jazz Institute, to participate in the International Association of Schools of Jazz Conference (IASJ) in Portugal, led by jazz legend Dave Liebman. In September 2016 Eviatar was awarded a full scholarship from Berklee College of Music & the Bracha Foundation and has since began studying with some of the universities most sought out teachers including Darren Barrett & Bob Gullotti. This scholarship is given to the top percentage of entering students each year and is highly sought after. Since his relocation to the United States of America Eviatar has been fortunate enough to perform at festivals such as the Beantown Jazz Festival in Boston, Massachusetts, & at the JAMM Festival in Denver, Colorado. He continues to maintain a busy schedule and expects to graduate from Berklee College of Music with his Bachelors Degree in May 2018, pursuing a career in jazz performance.